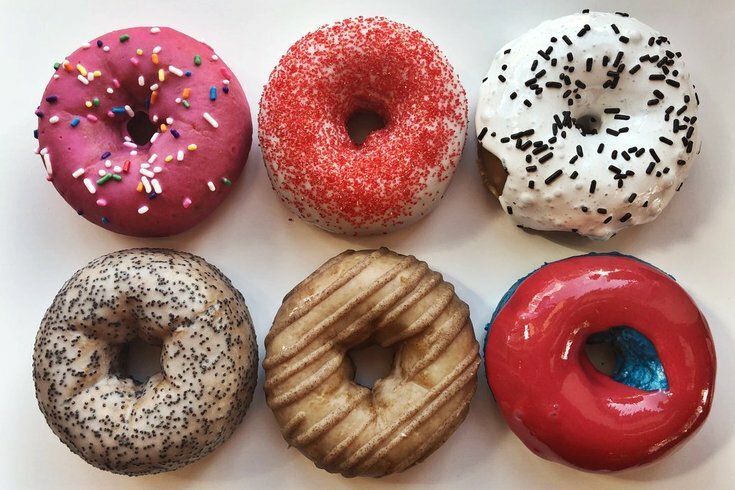 Federal Donuts unveiled the "Baker's Reprise" donuts, which include a glazed, red velvet, fluffhead, lemon poppy, maple and fishman flavors. Hey Phish fans, I'm assuming you already got your tickets to the show in Camden on Aug. 7 at BB&T Pavilion, but have you ordered your half-dozen Phish-themed doughnuts? Federal Donuts is reprising its role as Phish's honorary pastry chef from Aug. 6-8 in all stand-alone shops with six Phish-themed doughnut flavors available for purchase to celebrate the band's return to the area. The Philly-based donut and fried chicken joint first collaborated with Phish last summer when the band requested the shop make donuts for concert-goers every night of its residency at Madison Square Garden last year, dubbed the Baker's Dozen. Red velvet doughnuts were available the night they opened with Velvet Underground's "Sunday Morning," and maple-glazed doughnuts with cinnamon icing drizzle were paired with Scott Joplin's "Maple Leaf Rag." It was a hit. This year, Fed 'Nuts is making six flavors — fishman, glazed, red velet, maple, fluffhead, and lemon poppy — that you can even pre-order online. A box costs $24 and will get you two of each flavor. The donuts can be ordered in advance online or you can take your chances as a walk-in customer. For those who want to make sure to get theirs, you can get your Baker's Reprise doughnuts here.